Status Anxiety: If using negatively impacts my status with my peer group or the group I aspire to be a part of. With the help of our supporters, Breaking The Brand raised the funds to launch a pilot RhiNo Campaign: Is it worth the risk? which was launched on the 15th September 2014. Since then we have run six campaigns, which are summarised below, the most recent campaign first. Breaking the Brand has researched and prepared the evaluation process to measure the impact of the campaigns on the target group. RhiNo Campaign 7: Say Yes To Good Business. Say No to Rhino Horn. The South African Government announced on September 21, 2018 that rhino poaching for this year to-date is down 26%. This marked decline fits with both anecdotal and quantitative evidence discussed by the conservation NGOs monitoring the demand in Viet Nam. We reflect this positive development in our new (interim) campaign. 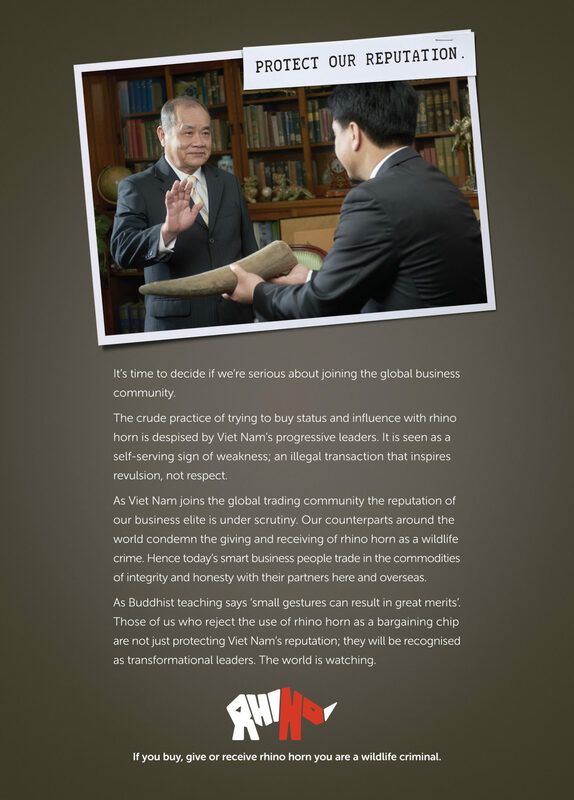 The campaign highlights the leadership credentials of those businessmen who have made a positive change and are no longer using rhino horn to gain favours or close business deals. It directly addresses the ‘laggards’, the businessmen slow to accept that gifting rhino horn shows them as mediocre businessmen they obviously are, given they need the prop of rhino horn to seal a deal. We will be running this campaign until the end of 2018. RhiNo Campaign 6: Think: Is rhino horn putting your reputation at risk? The 2017 Breaking The Brand campaign again focuses on status anxiety. Even though the poaching figures are still tragically high, the fact that rhino poaching is not growing exponentially anymore may mean that at least some Vietnamese businessmen have lost their interest in rhino horn. We are using this to warn those who continue to consume that this may now have a negative impact on their business brands, reputations and opportunities (see last paragraph of the advert – Be Warned…). The current consumption spike has always been a fad and related to status and prestige gain, not medical use (remember the so-called ‘millionaires detox drink’ [grinding rhino horn in to water or rice wine] is more about the associated status, given the exorbitant price, than a belief in any perceived health benefit). As interest may be waning, the risks of continued use could start to outweigh the (status) benefits. Be warned; your reliance on rhino horn may be your undoing. As business opportunities start to dry up you will come to realise that you are being rejected. Your weakness and desire to impress is poisoning your business brand and your reputation. When Breaking The Brand started interviewing the wealthy users of rhino horn in 2013 we asked them who they were influenced by. Bill Gates, Warren Buffet, Richard Branson, Bill Clinton, Barack Obama were the answers. 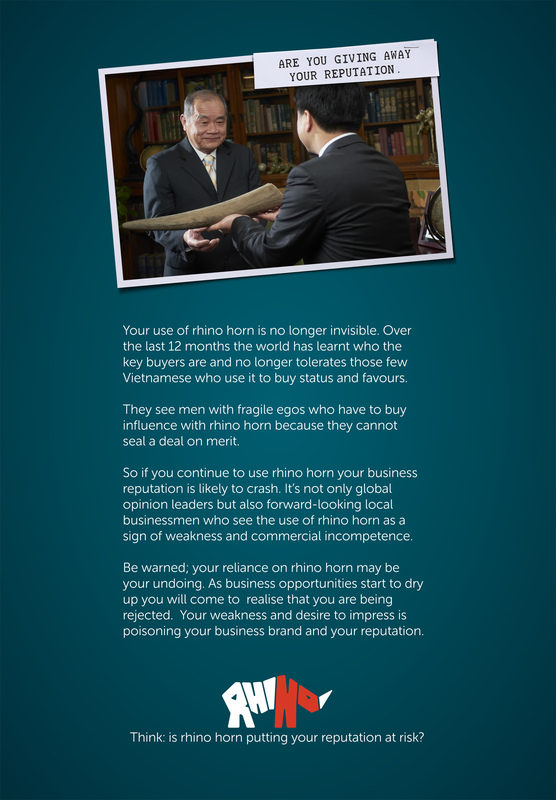 Given our target groups’ expressed interest in global business and political ‘celebrities’ we have chosen, for our Vietnamese Lunar New Year campaign, to use quotes from Warren Buffett to drive the message home that giving rhino horn is not going to be a good strategy for building reputation in a globalised business world. 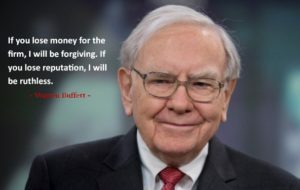 Certainly Warren Buffett understands the critical importance of reputation on business success. All of this highlights that long-term opportunities are, in the main, dependent on being able to preserve reputation and integrity. When these are called into question it can limit professional prosperity and success; two of the top Vietnamese New Year wishes. Read about the research behind the campaign design. 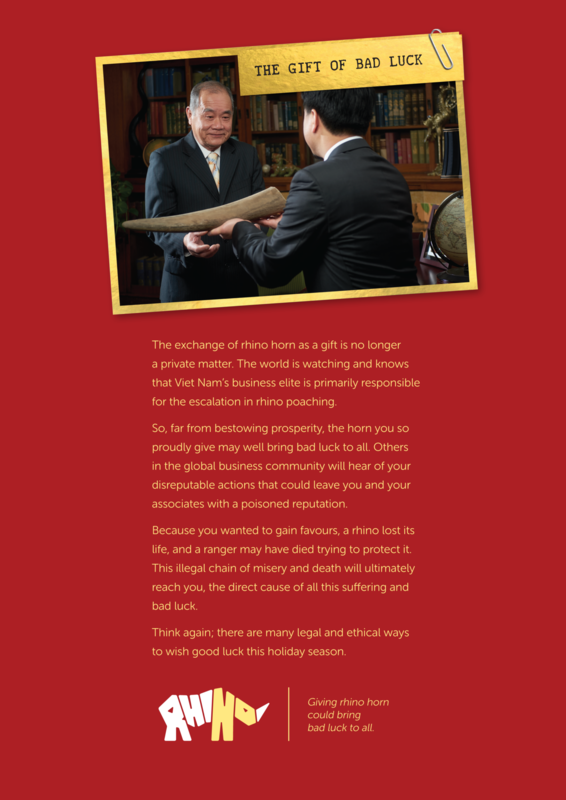 For our Vietnamese Lunar New Year Campaign, Breaking The Brand has written to a database of 40 influential Vietnamese businessmen, mostly based in Ho Chi Minh City and Hanoi, to highlight the link between reputation, bad luck and giving the gift of rhino horn. 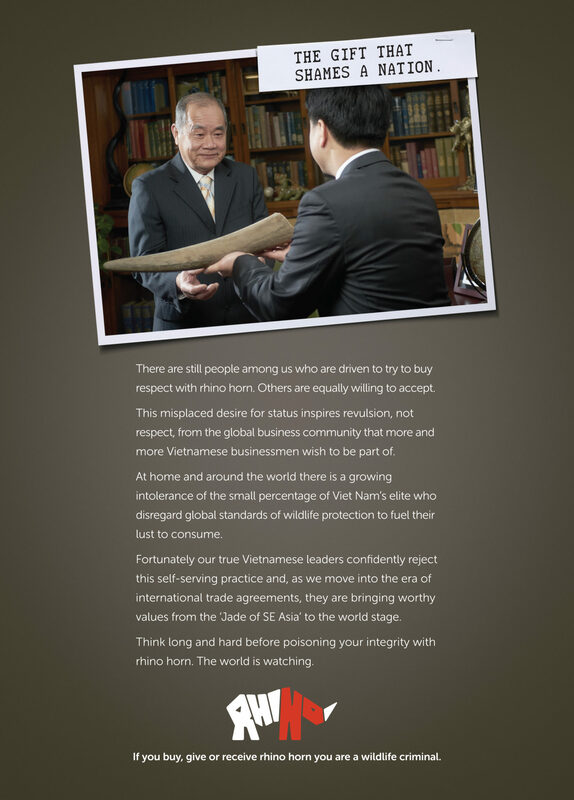 In the letter, we directly single them out as influential business leaders and ask for their support over upcoming Vietnamese New Year holiday, by more openly condemning the actions of giving or accepting the gift of rhino horn as a crude way of buying status and opportunities. The Lunar New Year holiday is an important time in Viet Nam, not only personally but also professionally. A time when people are reflecting on future commercial and career success. While we acknowledge that these businessmen may be reluctant to be seen as critical of individuals in their peer group, this action of condemnation may just be what saves their colleagues’ reputation and future prosperity. By condemning the practice of giving rhino horn these true leaders will not only help save the magnificent rhinoceros from extinction in the wild, but they will also help their peers to make the right choice. People who give or accept rhino horn cannot also be seen as someone of integrity and honesty. Reminding their peer group, who could be considering gifting rhino horn for the Lunar New Year, of this could help protect their reputations in the long-term. This pack has also been forwarded to a number of businesses and business networks in Viet Nam and those with links to Viet Nam that are based in Australia, the USA and Canada. We encourage anyone to forward this letter to any person or organisation they know who can influence the current users of rhino horn. 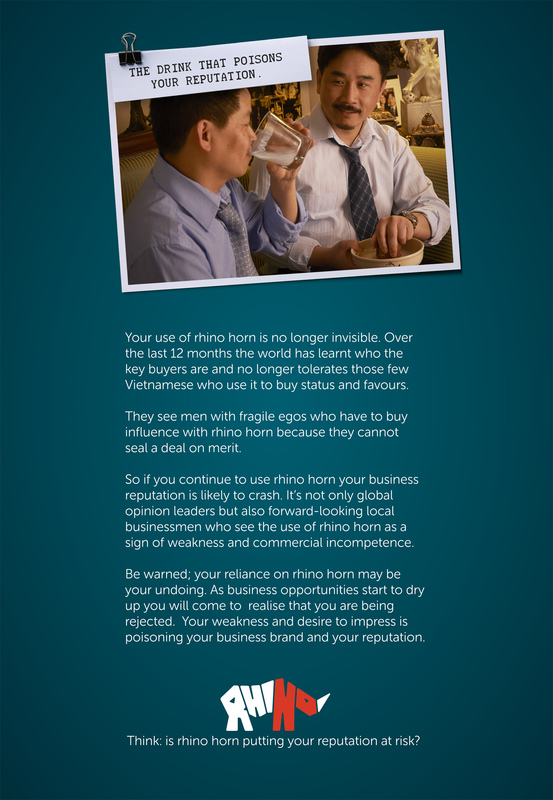 In campaign 4, Breaking The Brand is solely focusing on the businessman user of rhino horn. The campaign is made up of 3 separate adverts. 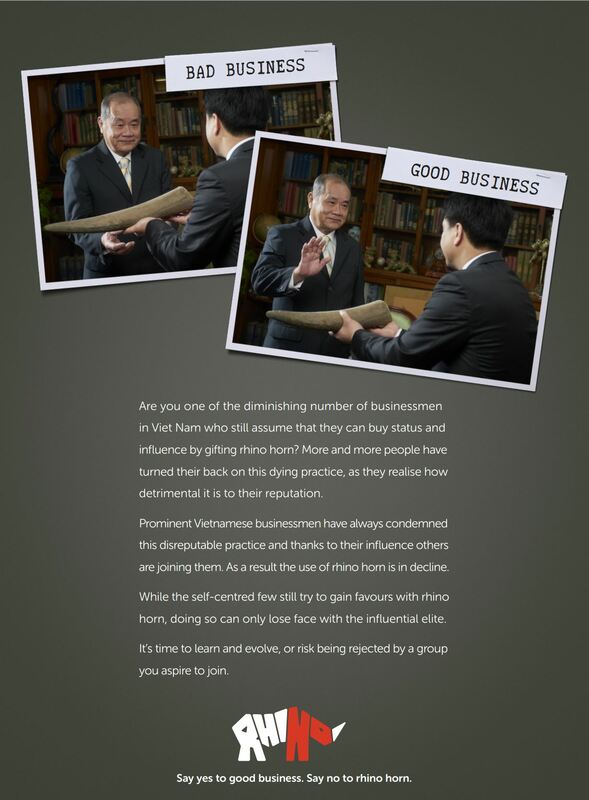 In this image a junior Vietnamese businessman is trying to impress a senior Vietnamese businessman by giving rhino horn and the gift is clearly accepted. The advert highlights that supposed leaders, who accept gifts of illegal rhino horn to shore up their status, are not real leaders; they are desperate, needy followers. The behaviour is self-serving and speaks of weak people who are anxious to be seen as part of the elite. They are the last link in an illegal chain. Whether you are giving or receiving rhino horn, you are a wildlife criminal. In this image the junior Vietnamese businessman trying to impress senior Vietnamese businessman by giving rhino horn and the gift is clearly rejected. The advert highlights that real leaders in modern Viet Nam are aware of their now more global profile, as evidenced by a number of free trade agreements that are currently in negotiation. These leaders recognise that in the eyes of the world accepting a gift of illegal rhino horn would be seen as a wildlife crime. True leaders are above such cheap gestures and desperate attempts to buy status and influence. True leaders are people who have gained the inner self-confidence and virtue to reject the aspirational consumption of their peers, even if such consumption is accepted within societal norms today. True leaders will help pioneer a new way of doing business, giving Viet Nam status and pride in the eyes of the global business world. Being a transformational leader requires courage, but these leaders will be remembered in years to come as the group on influencers who saved the rhino and changed the reputation of Viet Nam on the world business stage. In this image Vietnamese businessmen and a Western businessman are sharing rhino horn in the form of a ‘millionaire’s detox drink’ as a celebration to seal a business deal. Both local and international businesses in Viet Nam are vulnerable if senior managers engage in these illegal practices. Their reputation will be damaged and Western companies face a consumer backlash at home and possibility of whistle-blowers leaking this complicity to the press. No doubt they will have seen the recent ‘Panama Papers’ and ‘Unaoil’ leaks. Undoubtedly, there is an increasing lack of tolerance for self-serving behaviour in global elites and a greater willingness for internal whistle-blowers to leak privileged information. In the not too distant future this may also include the dealings of Vietnamese elites and may target the money flows associated with the illegal wildlife trade. Currently, too many international businesses working in Viet Nam don’t have ‘Codes of Conduct’ for their employees making it very clear the consequences of getting involved in this type of behaviour. Similarly, wildlife and timber crimes aren’t being discussed by the Governance and Risk Committees of international companies. This leave them vulnerable. Finally, over the years I have spoken to many ‘Western’ businessmen about the work of Breaking the Brand. I have been shocked the number of times that this has triggered these businessmen to talk about their experience of been caught in a situation of been expected to get the ‘deal’ for their company and been part of an event, normally a meal, where they have been presented with ‘rare delicacy’ of endangered or illegal wildlife. Sometimes 20 years on this experience triggers anger as they discuss it and are anchored back in to the event. The anger, in the main is with themselves, because they compromised their personal values to make the deal; the experience had left a mark. I even met some businessmen who told me the experience was what triggered them to leave the company or the sector they worked in. RhiNo Campaign 3: What Does A Wildlife Criminal Look Like? Breaking The Brand’s next campaign will target ‘status anxiety’. Since starting our interviews with the primary users of rhino horn in 2013, status anxiety – if using rhino horn would diminish their status in the eyes of their peers – was one of only two reasons given that would cause these users to stop using rhino horn quickly enough to save the rhino from extinction in the wild. 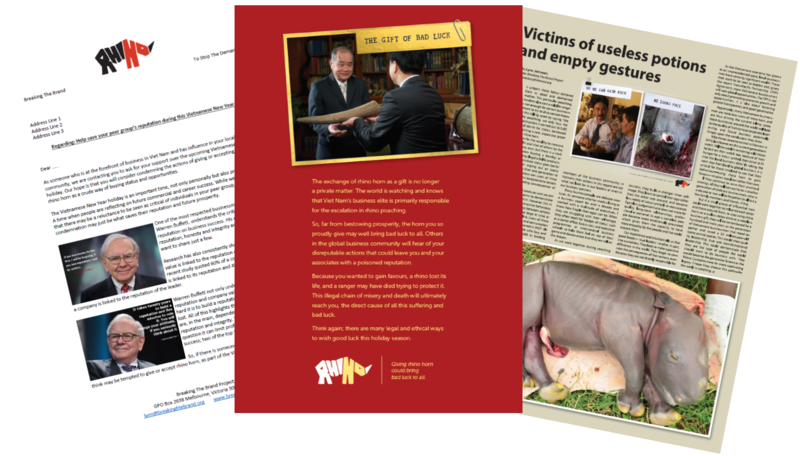 We have chosen to set the status anxiety in relation to a wider peer group, as encouraging the Vietnamese elite to see themselves as part of the global elites is a very important step in overcoming the use of illicit wildlife products. This has happened ‘naturally’ in Japan and Korea before, so if we can accelerate the process of the users seeing themselves as part of the global elites, what they attribute status to will fall into line with what the global elites consider acceptable (e.g. yachts, not rhino horn). BTB’s third RhiNo Campaign: What does a wildlife criminal look like? will be launched in Viet Nam in late September or early October 2015. To follow up from our successful pilot campaign, see bottom of the page, the Breaking The Brand project team has created a campaign for Vietnamese New Year or Tet. Tet (which translates to the Feast of the First Morning of the First Day) is the most important public holiday in Viet Nam. There is a superstition that how well things go in the preparation for the holiday and over the 3 day celebration will undoubtedly impact personal and professional success in the year ahead, particularly in relation to health, prosperity and happiness. Rhino horn use spikes during Tet. It is given as a gift to gain favours with managers and business contacts in the weeks leading up to the holiday and use in the so called ‘millionaire’s detox drink’ increases markedly due to the nature of the celebrations. We felt it was important to remind these businessmen that at a time when they are focusing on their own prosperity, by driving the killing of rhinos they are drastically impacting the lives of people that don’t have the same opportunities as they themselves have. We maintained our focus on the two primary users targeted in our pilot campaign, namely high status males and affluent mothers. Wealthy women buy rhino horn for their children and sick parents. The adverts are a reminder to these women that whilst they are thinking about the wellbeing of their family, giving rhino horn to their loved ones may have the opposite effect as more-and-more rhino horn is being infused with toxins. We know from our research that if taking rhino horn has the possibility of having a negative impact on their personal or their family’s health this was one of only two motivators to stop using rhino horn. We feel it is important to inform people in Viet Nam that horn infusion is happening and the health consequences of ingesting poisoned rhino horn are a real risk. Finally, we wanted to highlight to these women, and subsequently test for empathy, that their actions in purchasing rhino horn is, in another part of the world, causing wives to become widows and children fatherless given the numbers of rangers being killed whilst protecting rhinos is escalating. And to also test if there is any level of empathy with the animal. The reason why users should be worried about their health is that more and more rhino horns are being injected with toxins such as organophosphates while on the live animal. If a person ingests this toxin they will become sick with nausea and diarrhoea. These toxins can also have long-term effects on the central nervous system; and on brain development and cognitive function. For more information about how rhino horn is poisoned see blog entry. We aim to use locations that the primary user groups frequent – airport lounges, business magazines etc. We need to raise $100K to get the pilot campaign produced and rolled out by Grey Groups’ Hanoi office. You can help us bring these campaigns to the user group by make a donation (see button on the right). 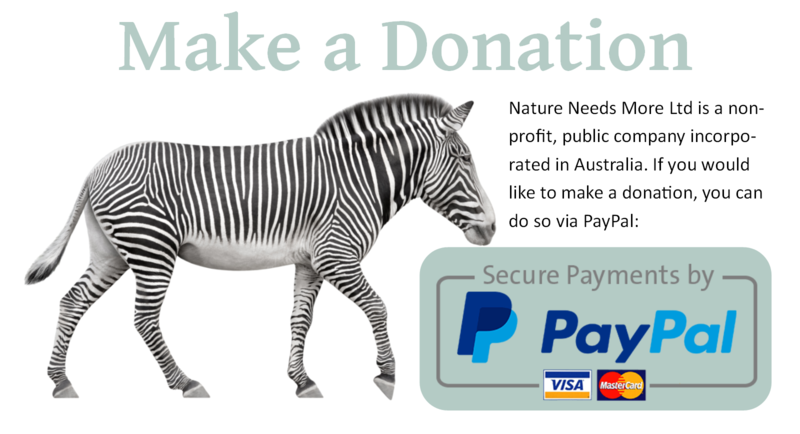 100% of funds donated go to financing the production of the campaign. We have also created pilot campaigns around the same themes for the secondary user groups, namely affluent mothers, who use rhino horn as a perceived medicine (for treating fever in children). For more information on affluent mothers as users of rhino horn see blog entry. The more funds we can raise, the more campaigns we can produce and roll out.